A new Honda CR-V is the perfect choice for Denver area families, or anyone who leads an active lifestyle. As the experts at Kelley Blue Book said “When it comes to safety, reliability, strong resale and peace of mind, it’s hard to ignore the 2019 Honda CR-V.” Explore our new CR-V inventory then contact us to schedule a test drive today! 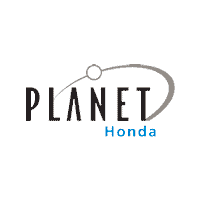 Why Buy a New Honda CR-V at Planet Honda? Check out our new vehicle specials to find some of the best deals available in the Arvada area. We go out of our way to make sure our customers always enjoy a first class car shopping experience when they visit our Honda dealership in Golden. If you have any questions, please feel free to call us at (303) 215-4200 #2.